I love Deadliest Catch. I like the idea of being at the helm of a boat and driving/sailing it across both rough and calm seas day and night. 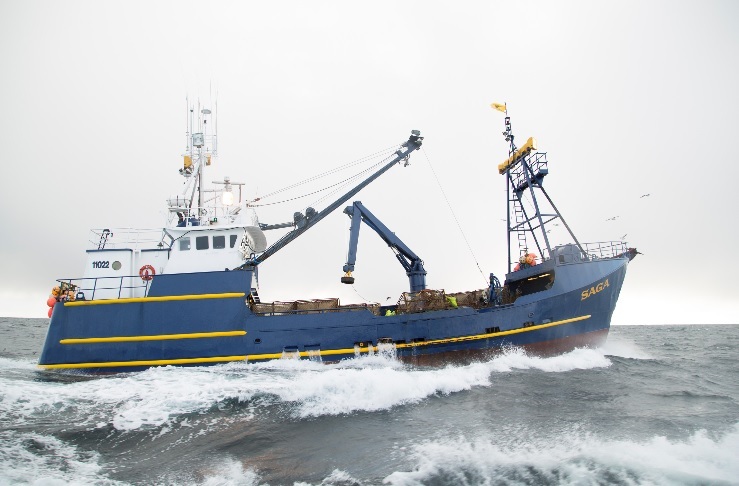 Deadliest Catch for those who have not seen it is this ace series on Discovery Channel about a bunch of crab fishermen who put their lives on the line to fish both Red (Alaskan) King Crab and Opilio Crab (and sometimes Bairdi Crab). Why, because it is worth a lot of money and within the space of a few weeks could make more than the average pay than in a year. But there are rough seas out there and every year, lives are lost and boats sink. But despite all this they continue to do it. Deadliest Catch unlike other shows like it also has great people in it as well as an actual sense of jeopardy where say other shows, like Gold Rush have some moments of possible false jeopardy by putting in the odd sound here and there before a break. There is nothing fake (as far as I can see) in Deadliest Catch. But the things I like the most are the boats that the fishing takes place on. Each one has a unique look, name and almost a personality by itself. So here are my Top 5 Favourite Deadliest Catch boats/vessels. 5. Saga – Elliott Neese: While quite a young boat as it has so far made very few appearances in the show, The Saga is quite a good-looking boat. While potentially a lot smaller than most of the big trawlers, its design and shape gives it the look of more of a proper ship than just a floating platform as do most of the vessels in the show. The colours of the boat are in particular one of the best parts as while the ship has a dark tone in colour, it is also got bright bits of yellow and together makes it quite colourful. 4. Cornelia Marie – Phil Harris: A great boat for a great captain. The Cornelia Marie does look like an outcast amongst the other vessels as most do go for a dark look or just completely jet black. In comparison The Cornelia Marie is very bright and colourful, but is also very big, as in long. Surprisingly though the boat has not appeared to have been updated during its career as most of its on-board appliances for dealing and sorting crabs come down to plastic tubs and almost rust prone facilities meaning that most forms of sorting come down to use of handwork rather than other facilities for getting rid of rejected crabs as well as offloading them from the pots themselves. Other vessels include mobile sorting tables and trenches of water acting like conveyor belts to remove unwanted crab. This however gives the Cornelia Marie its own as well as historic personality, and if it looks like an outcast to most boats from its exterior, maybe it should continue that on-board as well. 3. 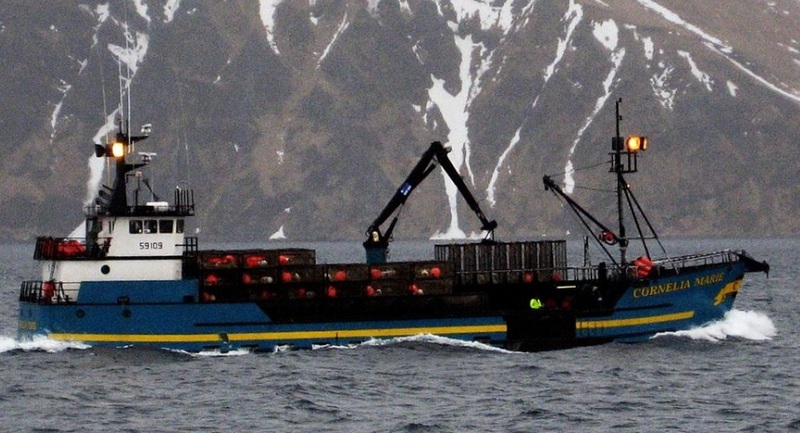 Time Bandit – Jonathan and Andy Hillstrand: Possibly the largest by eyesight (but is probably the same size as the Kodiak and Wizard) but also one of the coolest boats in the show. 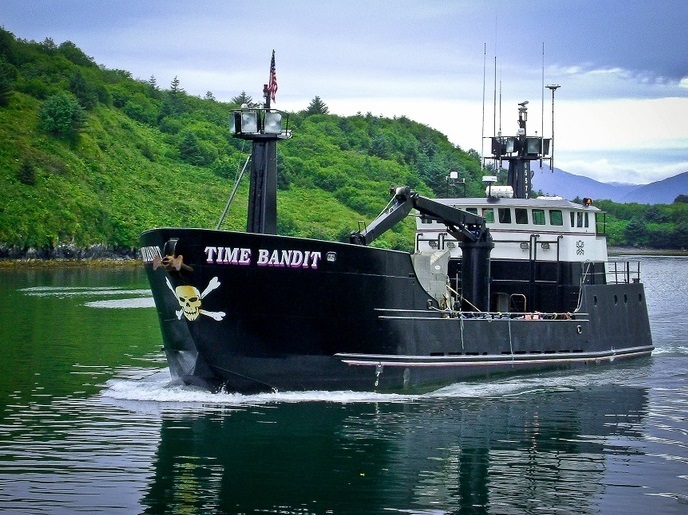 The Time Bandit may look like any ordinary crab fishing vessel with its platform like deck and may at first-hand look a bit dreary all in black, the Time Bandit is a boat with personality and most of it comes from the Skull and Crossbones logo then spreads out. I don’t know exactly what it is but this boat gives off a great aura when it’s on-screen and I think because the look of the vessel is quite casual and un-extraordinary it gives off great personality too and I think that if it wasn’t for the previously mentioned logo, it probably won’t look as good, but seriously, when this boat is on-screen, it looks fabulous. 2. Kodiak – Bill “Wild Bill” Wichrowski: The Kodiak is an impressive boat by all counts. It’s nice royal blue exterior as well as it’s on deck look and just its general size all come together well. The Kodiak’s deck looks very different to all the others seen in the show as it appears to have more of a wall around it and the only open access to the sea is the area where the pots are launched and picked up. This could be added to be a lot safer and perhaps more modern in design but as most of these ships have this platform like look, it makes the Kodiak look like more of a tanker vessel than say a factory ship and is aesthetically more pleasing to the eye. 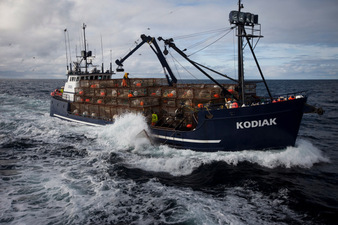 In essence, the Kodiak is more like those giant Japanese fishing tankers than a fishing vessel and for that reason along with its other features (including the previously mentioned choice of colour and size) the Kodiak is one amazing vessel, it’s just a shame that it’s no longer in the show. 1. 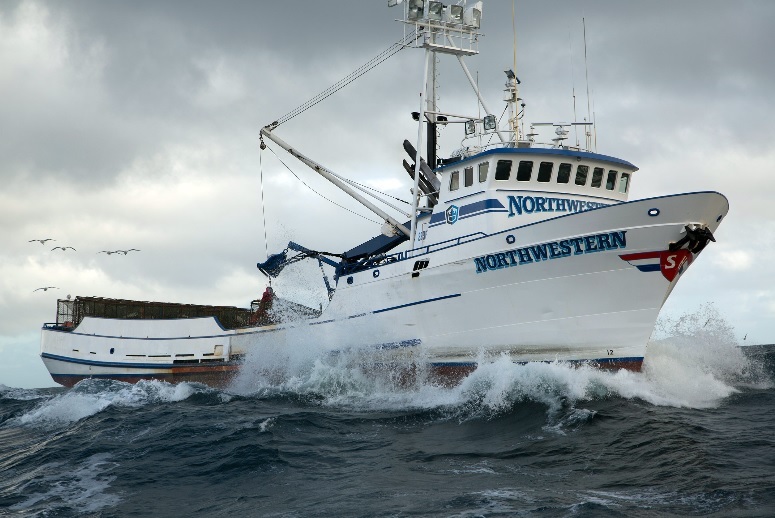 Northwestern – Sig Hansen: To me, the Northwestern is the star of the show. 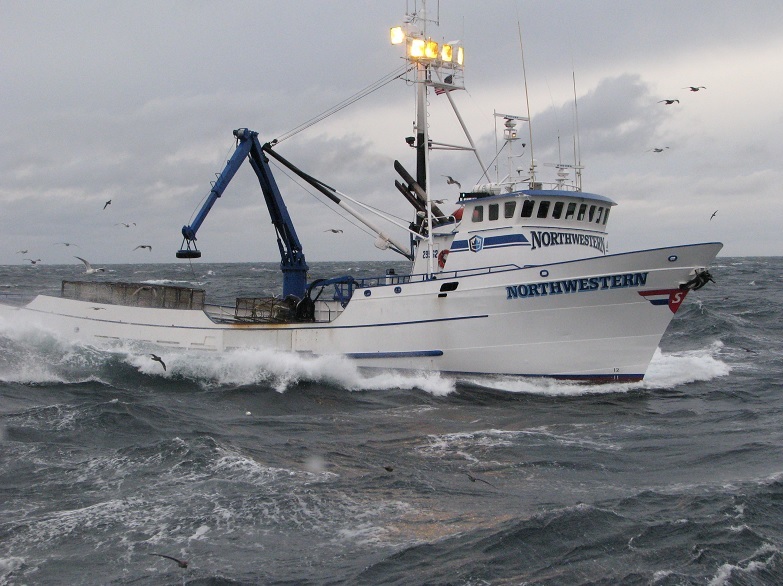 The Northwestern actually looks like a proper vessel/boat/ship with the cabin at the front and the platform end for all the fishing at the back instead of the other way round. Because of this, the inside cabin shots show more of the actual ocean and sea as the boat ploughs along and it also gives the idea that it may be more secure and safer for its crew. I think it’s because of the way it’s designed that I like it so much, but add-on to that the snow-white exterior, the rustic and basic design and even the great sounding name (plus the crew actually seem to get along with each other and the fact that Sig Hansen is great as a ship’s captain) all together make a great boat. GENEPOOL (Apologies if I didn’t go not into too much detail, but how else do I talk about how great the boats in the show look while not really being a fan of boats in general. I prefer big ships like the Queen Mary 2 and Oasis of the Seas, along with the boats in Deadliest Catch). For many years after the Japanese surrender in World War 2 the United States of America Tested Nuclear Weapons in the pacific in an area known as the Marshall Islands. In total the Americans tested 67 Nuclear Weapons. On March 1 1954 the Americans set off the Largest Nuclear Explosion to date – code named Castle Bravo (the Hydrogen Bomb). The explosion would be the first in a chain reaction of events that would change the world. 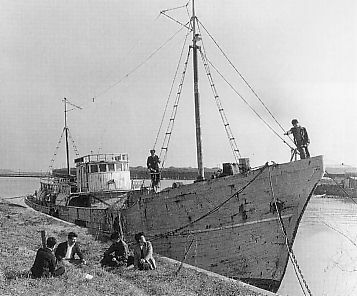 When the explosion occurred there was a Fishing Vessel called the Daigo Fukuryū Maru or Lucky Dragon 5 which was outside the exclusion zone. The crew saw a bright light and then a few hours later a snow storm fell on them. A few hours later some of the crew became sick and then a few days later some of their faces turned strangely dark. The ship’s captain did not understand what was going on so returned the ship to port in Yaizu. When the ship arrived in Yaizu many of the crew members were suffering from symptoms related to Radiation Poisoning. On September 23 1954 (six months later) Aikichi Kuboyama died of Leukemia. According to newspaper reports his last words were “Please make sure that I am the last victim of the Nuclear Bomb”. Five other crew members later died from diseases that were believed to be bomb related. The incident gripped Japan when it was discovered that the cargo (tuna) the ship was carrying was also infected and was on the market. At first the Americans tried to cover up the incident, they later admitted that the ash (snow) was from the Bomb but claimed that the boat was on a spying mission. The Americans then sent the widow a check for 2.5 million yen ($2500) as a “token of sympathy” in an attempt to put the matter to rest. Many years later the USA admitted that the operation was the most powerful Nuclear bomb ever detonated and caused the single worst fallout incident in the H-Bomb atmospheric testing program. The incident caused many citizens of Japan and Thousands of scientists around the world to call for a halt to Nuclear Weapons testing. The Nuclear powers of the world agreed to the limitations of Nuclear testing with the common goal of “an end to the contamination of man’s environment by radioactive substances”. Even though the incident brought an end to Nuclear Testing the incident did something else as well. In Japan the incident caused great fear for the Japanese people, it was still a time when nobody knew much about Nuclear Power and was a topic of great concern. Film director Tomoyuki Tanaka used the incident as inspiration for a film. 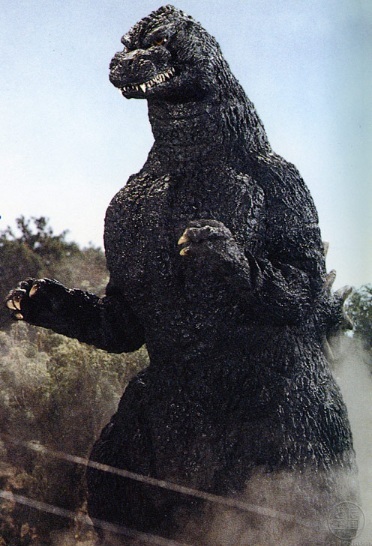 The film was about a giant monster that was woken up by Nuclear Testing and would go on to trample Tokyo. 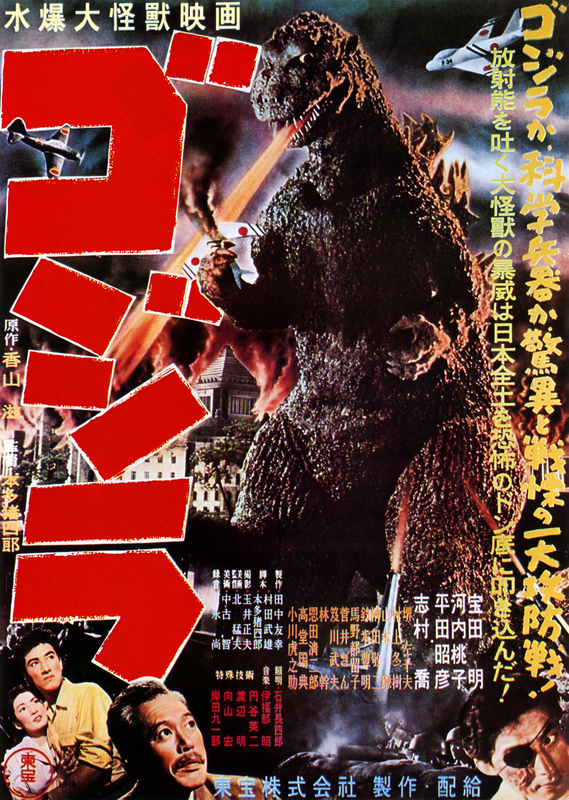 The film was called Godzilla and it became a huge hit in Japan. The fishing vessel is now on display in Tokyo at the Tokyo Metropolitan Daigo Fukuryū Maru Exhibition Hall.